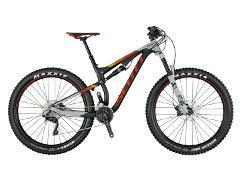 Mountain Bike Hire – New Scott Genius 27.5 Plus. These awesome 27.5 dual suspension mountain bikes come with 140mm of travel, a dropper post and tubeless tyres. Helmet included and choice of pedals-SPD or Flats.